This day has been specifically designed for anyone taking part in The Spine or our own ‘Pennine 39’ event, but open to all runners. These high and exposed trails and moors are a wonderful place to be in at any time of year, but should not be under-estimated, especially during the short daylight hours of Winter. The recce day is open to anyone; not just ‘Spiners' or 'P39ers’, so this is your chance to traverse the much admired Crossfell – Pennine Way skyline to the East of Cumbria. The route is around 15 miles with 3300′ of ascent. Much of it is on reasonably good paths and flagstone trails but it is a very high and remote wilderness, which needs respect. Book simply by emailing Joe now and requesting a place. We’ll meet at Dufton for a quick gear and safety briefing before heading off for a steady paced, ‘run’ talking and discussing skills and techniques on the move. 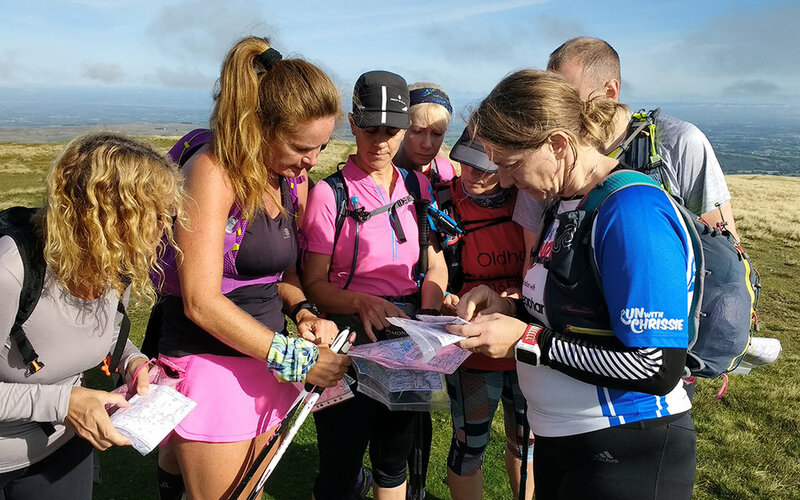 The route involves a long gradual climb up to around 2500′ (750m) and the high level traverse over Great Dunfell and Crossfell at very nearly 3000 feet. We’ll a take a quick break at the iconic Greg’s Hut for a ‘brew’ maybe before the long descent to Garrigill and the George Inn. 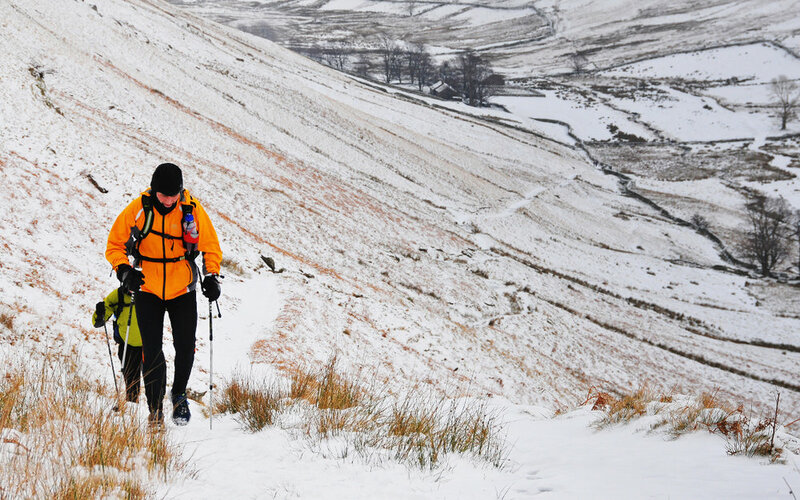 ‘Warm, mountain winter running gear’ – including full waterproofs, hat gloves, spare layers, etc. Good off-road trail running shoes with good grip for the varied terrain. The ability to average of 3mph / 5kph on mixed hilly terrain. It will be steady walking on the hills, plus some running on good level ‘flagstone’ trails and down hill sections. A sense of adventure and humour …..plus brew / beer money for the end! Joe Faulkner is a veteran of many years ultra and fell running, dozens of mountain marathons, and some epic adventure races. This includes The Spine in 2015 and all three Dragon’s Back Races. Combining this with a professional background providing outdoor instructional courses, presentation and facilitation skills, Joe is the ideal leader / guide and the founder / director of NAV4 Adventure. Joe holds the Mountaineering Instructor Award (MIA) and Winter Mountain Leader Award, as well as being the organiser of TdH, Lakes Mountain 42 Pennine 39 / 24 and the original GL3Day and Haweswater Half Marathon. Don’t miss out – book simply by emailing Joe now and requesting a place – One of our team will reply ASAP with further details. 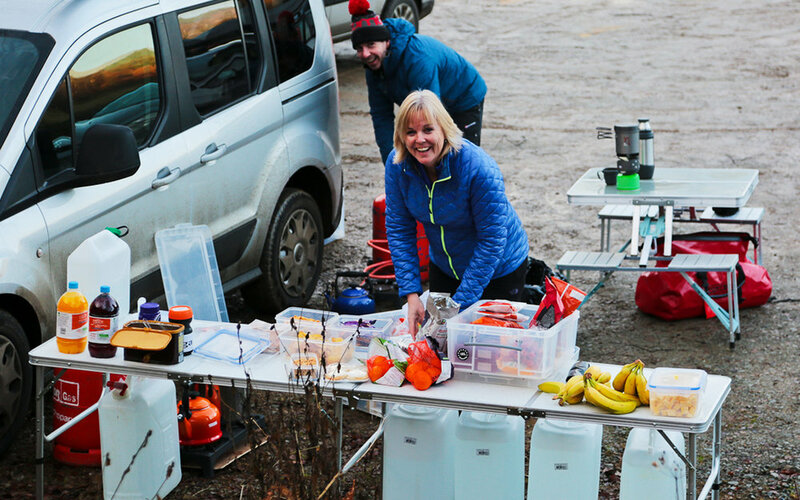 What makes all NAV4 Adventure courses different is that they are designed, and all the coaching and instruction delivered by, vastly experienced and highly qualified runners. Please take a look at our range of courses, events and One-One tuition. If you have any questions please contact Joe direct.